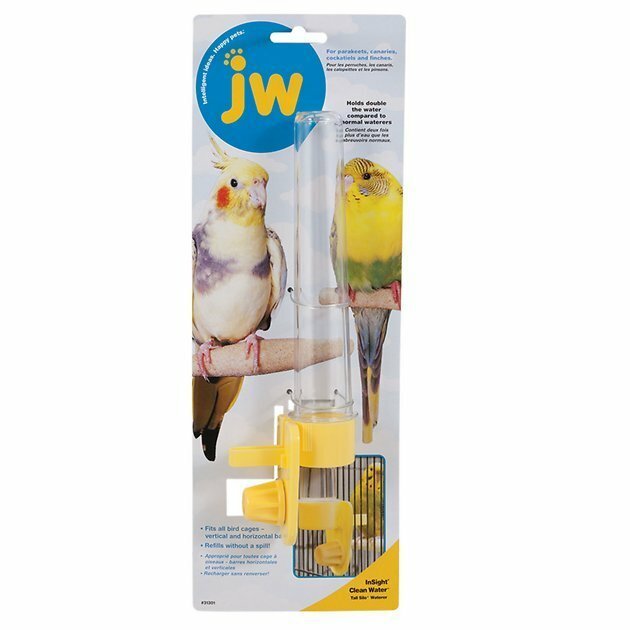 The JW Pet Clean Water Silo Bird Waterer not only provides a clean supply of water for your bird, but also keeps thing dry outside the cage. With the convenient no-spill valve, you’re less likely to make a mess when you remove and refill the outer chamber. This gravity waterer is specially designed to provide a fresh, reliable water source for your bird’s well-being. The Clean Water Silo Bird Waterer attaches easily to both horizontal and vertical wire cages with a simple screw-on design.